Not long ago, during this Leo's research into the UK's civil litigation review, he came across two major independent law reviews, within the last decade, focusing on intellectual property (IP). Honestly, this Leo did not expect them to look beyond UK and Europe. But on quick second thought that IP regimes originate from an international framework, it never surprised him that one of the reviews specifically referred to the needs of developing countries (DCs) and least-developing countries (LDCs) (most of the latter from Africa). 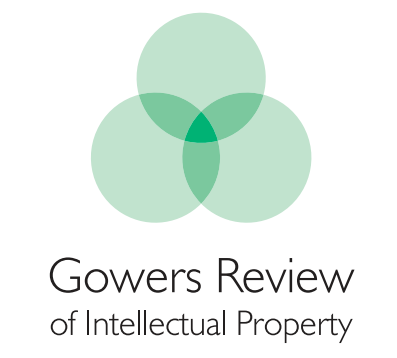 That review was the Gowers Review of Intellectual Property (Gowers Review). The other major independent IP review, Digital Opportunity: A review of Intellectual Property and Growth by Professor Ian Hargreaves (a.k.a the Hargreaves Review), was published in May 2011. That review also mainly focused on copyright but slightly considered African countries: for example, it highlighted the impact on health in sub-Saharan African with its copyright exceptions proposal (see Chapter 5, page 46; but its wider developmental and international context, in Chapter 3, focused on China and India). The UK IP office (UK IPO) is currently implementing the recommendations of the Hargreaves Review (also see here for a recent parliamentary research briefing). 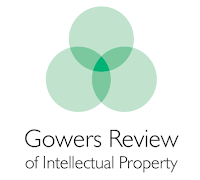 Published in 2006, the Gowers Review was commissioned by the UK Government to ascertain whether the its IP regime (particularly, copyright law) was fit for the modern economy from a consumer/public perspective as well as industries which rely on it. The report made 54 recommendations (25 of which were implemented as of 2011 - according to the Hargreaves Review. It may be safe to say that the Gowers Review is now gathering dust somewhere, says Afro Leo). Three of these were relevant to DCs and LDCs: recommendations 5, 6 and 7. (One could argue that these were somewhat influenced by the pro-development report of the Commission on Intellectual Property Rights (CIPR) in 2002. The CIPR's report essentially urged the UK Government to consider the impact of its IP regime (including trade negotiations) on developing countries and to use its influence to promote their best interests on the international stage). encouraging them to make positive use of IP rights through dissemination of information in patents. What does this Leo now know about the implementation of recommendation 5? - providing funding to Light-years IP to help establish a series of projects in Sub-Saharan Africa designed to help African producers extract greater value from their products through IP rights. The UK IPO continues to support the general principles of this approach which can be seen in our current policy approach and in our contributions to the TRIPS Council, where we publicly supported the prospect of a further extension to the deadline for Least Developed Countries' implementation of the TRIPS Agreement since 2011. In addition, the UK continues to undertake technical assistance activities where resources are available." Mildly disappointed not to have received a detailed response to his request, this Leo trawled the internet for more. (Afro Leo reminds this Leo that FOI can often be a tick box exercise provided the minimum/absolute statutory requirement has been fulfilled). As reported by this blog in September 2011, an agreement was signed between the UK IPO and Nigerian Copyright Commission (the first of its kind between the UK IPO and an African country) to improve international cooperation on copyright issues between the two nations. It seems not a lot have been done and the recommendation is vague to be measurable. However, it would not be surprising to learn that the UK has been offering IP technical assistance to DCs and LDCs (in various forms) even before the Gowers Review. If you know of other projects not listed above, we would be grateful to know. Look out for this Leo's commentary on the subject-matter in Part II.